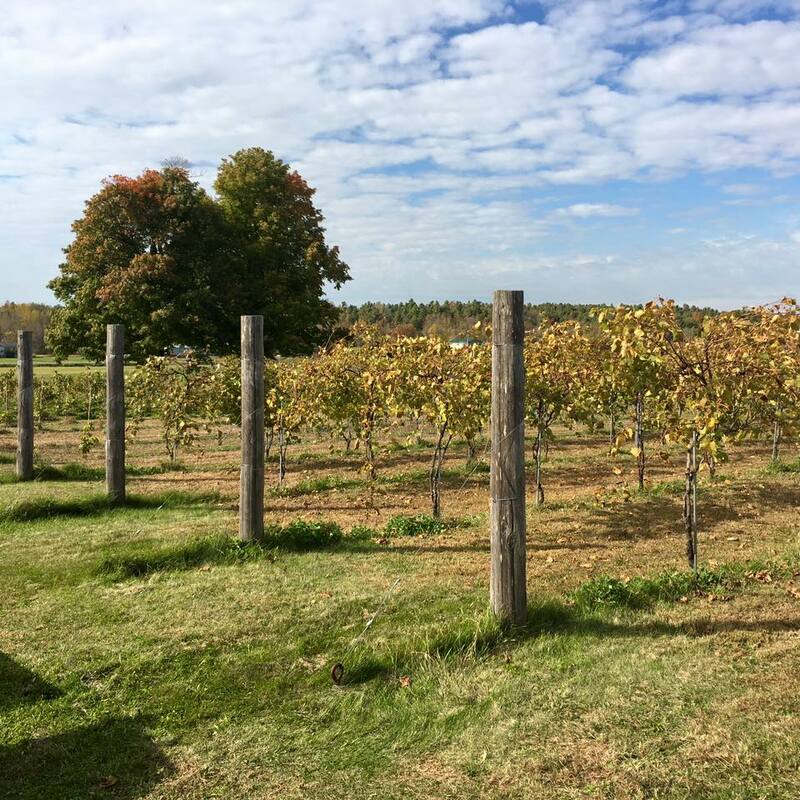 Our estate is surrounded by the Adirondacks Mountains, we are located in Champlain Valley of New York Viticulture Area (AVA). Our vineyard was founded in 2008. Presently, as of 2017, we have 3450 vines planted on our property. All the vines are cold hardy varietals of Marquette and Frontenac for the reds; La Crescent and st-Pepin for the whites. Our journey started with vines planted in 2010 on our American Dreams (A) plot. It is our American dream, as we have looked for many years in Quebec and Ontario for a suitable land with the right orientation for our dream project. We found it here in Champlain, with the right orientation and the gentle slopes. The vines in our Big Apple (B) plot were planted in 2011—2012. Why Big Apple? Simply because we are in the state of New York. The Champlain Corner (C) plot were planted in 2014. The name paying homage to the Village of Champlain where we are. Our dream will continue with the next plot hopefully to be planted in 2018—2019. It will be the Dodd’s Section (D). We remember the history of this land that we love and the family that was here before. We are sure many dreams were created then, witnessed by the maple trees. Welcome to our vineyard, enjoy the breeze, the natue around and dream with us while sitting under our four magnificent Maple trees. The trees that gave our vineyard its’ name. They have been there as long as the village people remembered and they are there for more than a century. Enjoy our delicious wine made from grapes from our land, our terroir. This is our happy place and we want to share it with you………CHEERS!